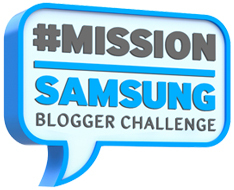 Part 2 of this week’s #MissionSamsung challenge was titled baking bliss and we were tasked to give in to our sweet tooth and make decadent cookies. We had to do this using the Smart Cook Feature of the Samsung Smart Oven. This feature has a multitude of pre programmed cooking times which means you do not need to set either the cooking times or the power level. It is as simple as opening the door, placing the dish into to the oven, closing the door, selecting the programme and pushing start. You can use this feature for auto reheat as well as auto cook. When I was reading up how to use the cookie feature, I saw that there was an auto cook programme for croissants. 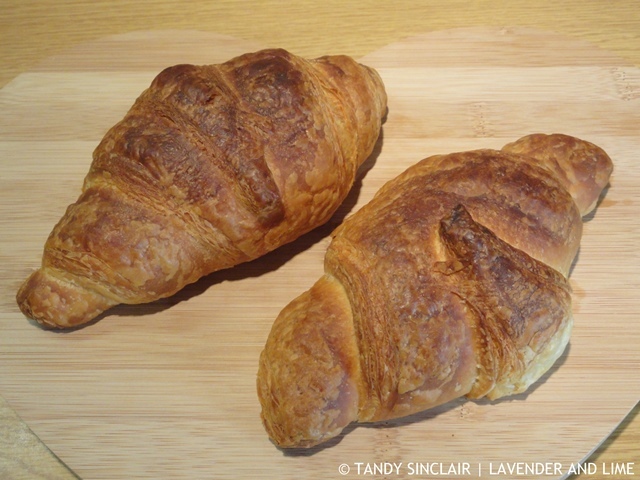 By pure coincidence I had taken croissants out of the freezer for breakfast and so I decided to test drive this feature before I tackled my biscuit making. I placed the croissants on to the crusty plate and set it on the low rack. I left the kitchen to get ready for the day and after the first lot of time, they were not quite ready. The recommended weight is 150 – 300g and I had not weighed mine. I repeated the programme which took a total of 23 minutes. This feature determines the cooking mode by detecting the surface temperature of the food. I think I left the croissants in for a minute too long and had I been in the kitchen I would have seen the remaining cooking time begin its count down and I could have therefore checked on the croissants. For the challenge I chose to make sablé biscuits as these are a cookie I have wanted to try out for quite some time now as they look really easy to make. Using the Smart Cook feature 100g of biscuit dough takes 10 minutes from start to finish. It certainly takes out the need to preheat the oven and wait for that and I found that part of the feature fantastic. I love that you can just pop the cookie dough into the oven when it is cold, press a few buttons and walk away until the oven beeps. Disclosure: I was provided with the Samsung Smart Oven to use for this challenge. This post is in line with my blogging policy. Never know sabe biscuits instead of tart crumb before, tempting to try! Tandy, your biscuits look good! Interesting that you used fructose. They sound like lovely biscuits and very pretty. They were so buttery Lorraine and Dave must have loved the heart shape as well as he ate them all in 2 days! Yum, sables! One of my favorite cookies. Yours look quite perfect. Sounds like a great oven. I love that you don’t have to preheat it before baking! Your sable biscuits look absolutely perfect, Tandy. What a great little gift … love the way you’ve presented them! The TV sounds amazing Rachel! 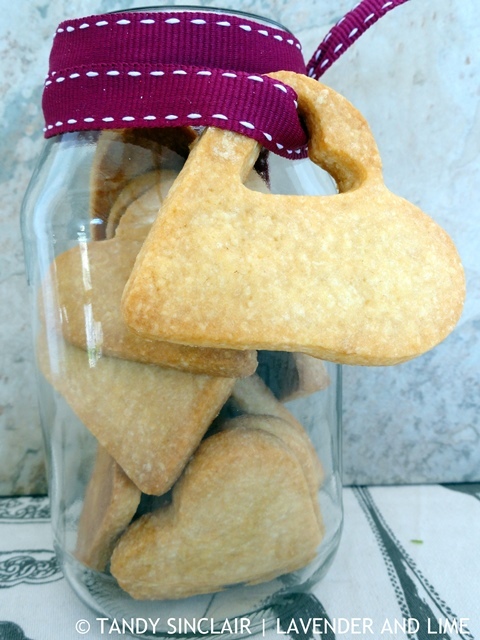 Hi Tandy, love your presentation of the sable biscuits, they look delicious! Sounds like quite an oven. Sables are such a perfect buttery delicious cookie! Yours sound lovely.